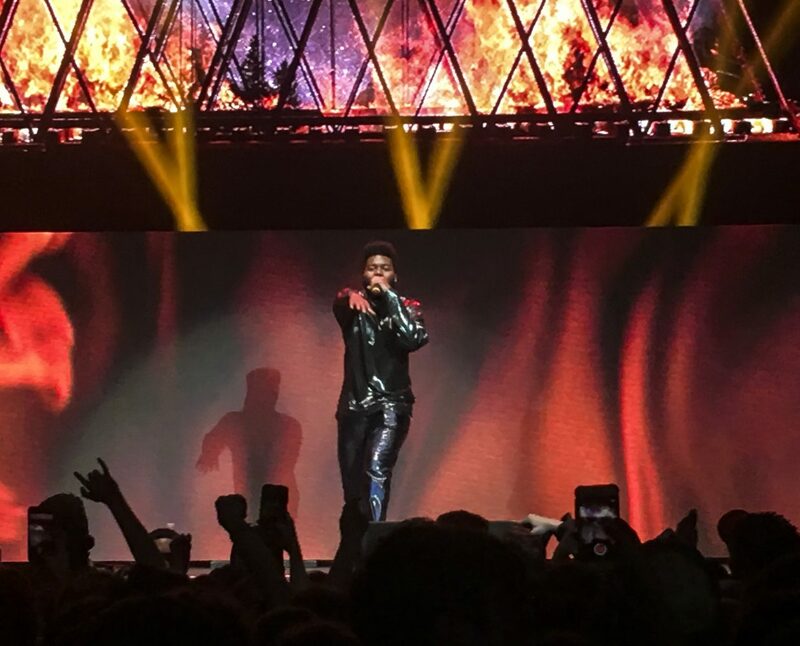 On Wednesday April 11, Khalid captured the attention of thousands of students when he performed at the Ryan Center. Khalid’s concert in Kingston was his first performance since returning from his tour in South America. The Student Entertainment Committee worked diligently throughout the last few months to bring Khalid to Kingston. The event was sold out, and ticket holders were allowed to enter at 7 p.m. Blaise Moore, a modern singer and songwriter opened for Khalid. Blaise performed for about 30 minutes and there was a slight break before the main event began. Khalid stepped in front of the large audience just after 9 p.m. and began with “American Teen.” He wrote the song last March along with 15 other songs in his first album. Khalid would continue to sing the rest of his “American Teen” album, as well as other singles such as “Rollin” by Calvin Harris. Some songs, such as “Location” and “Coaster” were introduced with a small speech about his inspiration to write them. In addition to Khalid, there were two dancers dressed in cheerleader uniforms moving back and forth along the stage. Khalid’s performance ended with a trio of songs, he performed “Location,” “Rollin” by Calvin Harris and “Young, Dumb and Broke.” The concert wrapped up around 10:15 p.m., as he thanked the crowd for the support and participation. 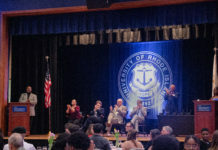 Students were happy with the concert, as well as the overall night. Many students were jumping onto their computers at the exact minute sales went online. Many other students agreed with Jones. They thought the performance was lively, energetic and unpredictable. The Student Entertainment Committee has not yet announced who will be coming to perform during the fall semester next year.